What's holding back your website from that top ranking? Your website will be scanned and checked for on page, off page, domain authority, social engagement and other SEO factors. Not only that, but we will also do a competition analysis. 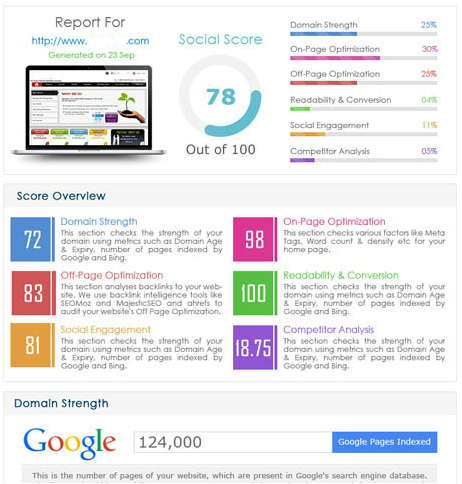 Receive this free evaluation covering 60 major SEO factors today.